Choosing the right local operator is important and we have a strong network across Europe, several of whom have worked with us for nearly 30-years. The integrity of the trails, be they in the remote mountains areas or through valleys, beside the sea or following ancient pilgrimage routes from village to village – such as the Camino de Santiago or Via Francigena - is of prime importance. WALKING: These holidays range from gentle inn-to-inn 'vineyard trails' in the most popular wine growing regions of France or Italy to challenging treks staying in a refuge or camping on a circuit of Mont Blanc in the Swiss, French & Italian Alps. Also in Europe we offer a choice of walks in Ireland, Norway, Germany, Austria, Spain, Portugal, Romania, Poland, the Czech Republic, Turkey, Croatia and Greece. See ALL EUROPE TOURS for details. OUTDOOR TRAVEL can offer escorted walks and guided mountain expeditions to the world's great mountain ranges - including the Himalayas in India or Nepal; the Andes in Peru, Chile, Bolivia & Argentina in South America; the wild Atlas Mountains in Morocco, Mount Meru or Kilimanjaro in Africa and the Taurus Mountains or Lycian coast of Turkey. CYCLING: For cyclists, we offer guided or self-guided routes from inn-to-inn in France, Italy, Ireland, England and across most areas of Europe. Increasingly popular are Bike & Barge or Bike & Boat holidays where your floating 'hotel' travels with you. Unpack just once and come home each day to a comfortable cabin with your own bathroom and dinner served onboard. For more information on all our holidays call us on 1800 331 582 or CLICK HERE to receive the latest information or a full itinerary. For many years this walking holiday operator – with a range of one-hotel or centre-based walks - has maintained a very high standard of accommodation and GUIDED walking. As their representative agent for all bookings made in Australia, we have a huge number of repeat customers. In the UK we offer 3, 4, 5 or 7-nights Classic Walking holidays in 19 different country houses in England, Scotland and Wales. 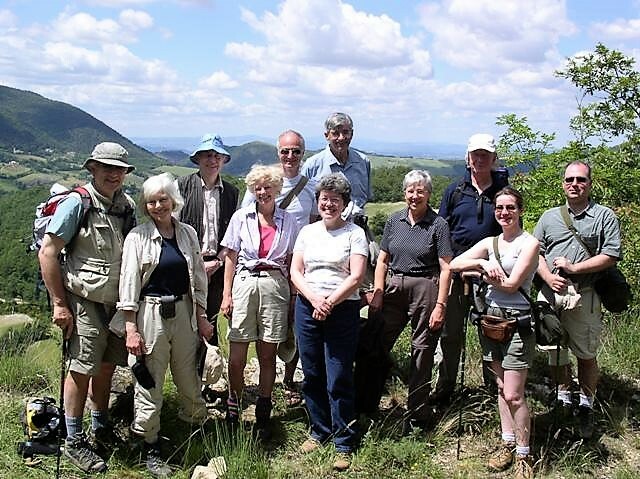 These holidays are a great way to meet new friends and to enjoy a pace to suit your needs as there are up to three grades of guided walks each day. The easier guided walks offer around three hours of walking, typically finishing just after lunch, which means you can return to your Country House hotel and just relax, stroll on the beach or make time to visit local sights during the afternoon. Having the capacity to offer different levels of walking each day is ideal for couples or friends of differing abilities and interests. There is also the option for anyone who wants to enjoy a walk on some days of their holiday or isn't sure if they want to walk all day. Singles have the opportunity to meet other walkers without having to pay for single room supplements on many walks. Destinations in the United Kingdom include the Lake District, Glen Coe in the Western Highlands, Snowdonia or Beacon Beacons in Wales, the Cotswolds of Shakespeare, Exmoor, the Isle of Wight, Dorset or Cornish Coast, South Downs, Peak District and the Yorkshire Moors or Dales. Our most popular walk is the one or 2-week Coast to Coast walk in Northern England. In Europe we offer hotel based walking holidays which include Spain, Portugal, the Amalfi Coast, Cinque Terre, Dolomites and Tuscany in Italy, Slovenia, Croatia, the Austrian Alps, Switzerland, Bavaria in Germany plus a host of centres in France such as Provence, the Riviera Coast, the Alps or in the Pyrenees. Other international destinations include USA, Canadian Rockies, Kenya, Turkey. Morocco, South America or India. Call us on 1800 331 582 or CLICK HERE to receive the latest information or a full itinerary. Outdoor Travel Pty Ltd can offer you something in Europe - all year round - we keep regular status reports for all our tours and pride ourselves on being able to find something to suit everyone's plans - both group guided and independent walking or cycling holidays. 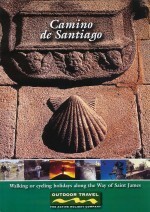 The Camino de Santiago or Way of Saint James - the pilgrimage route to the shrine of the disciple James at Santiago de Compostela on the north west corner of Spain - has attracted pilgrims from across Europe on foot, by bike or on horseback since the 12th Century. 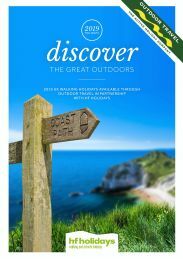 Outdoor Travel are delighted to release our new walking or cycling holiday brochure on the Camino De Santiago designed to encourage independent walkers or small groups of walkers or cyclists to experience the same route as the medieval travellers on the most unspoiled sections of the route. Departing daily on demand - with no minimum numbers - our self-guided inn to inn walking tours are arranged staying in 1 or 2-star hotels (with your baggage transferred ahead each day). Walkers can take one, two or more week sections (up to a total of 11-weeks) of mostly easy to moderate walking with full route descriptions, maps and emergency support. Itineraries begin from Le Puy in central France, travel south to the Pyrenees and along the northern plains of Spain to Santiago de Compostela on the road to Compostela. The self-guided journey follows an infinitely varied succession of paths and trails that link cities and villages, great cathedrals, fine churches and ancient monuments. Walkers travel through wooded valleys of oak and beech in central France, cross the Pyrenees and the great Navarre plains, see the Montes de Leon, the vineyards of Rioja and the Bierzo, before reaching the fertile valleys of Galicia. Small Group guided walks depart on set dates travelling through the best sections of the route in Spain with the best of accommodation and meals. Groups are escorted with a support vehicle and English speaking guides. Our small group cycle tours depart on set dates or we offer self-guided cycling with daily departures travelling through the best sections of the route in Spain with a selection of accommodation and meals, a support vehicle and English speaking guides. Easy to moderate grade routes depart from Madrid or Leon. We can make a group tour for 4 or more cyclists travelling together. CLICK HERE to order more details about these pilgrimage route holidays. 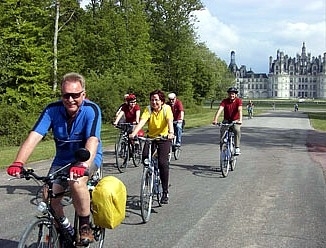 Join a like-minded group of cyclists on these hotel based easy to moderate grade cycling holidays in the most popular regions of France - see Provence, Brittany, the Dordogne, the wine regions of Bordeaux, the Loire Valley and Burgundy. These 8-day tours are fully inclusive of meals, hotel accommodation, guides and bike hire. They are fully supported with a bus and driver allowing flexibility for those who want to cycle less on any day. Why France? Well it's a great place to cycle, the countryside and hospitality is extraordinary, the French love cycling and they show so much respect on the road for cyclists! CALL 1800 331 582 FOR PRICES & DATES. This is the best you could possibly want from a walking holiday. Not too much effort, gently ambling with pack animals in an undiscovered part of France just south of the famous Dordogne valley. The area is called the Quercy and is an ancient region of France given to Henri d’Anjou by Eleanor of Aquitaine in 1152, two years before he became Henry II, King of England. It is an area that has little changed since and hence is of outstanding beauty, historical interest and full of delicious cheeses and wonderful wines. Our guides have an affinity with the history and gastronomy of the area. They are the perfect hosts mixing humour with fact, food and wine. They genuinely love the romance of France and have lived in the Quercy region of the Lot Valley for almost twenty years. These are gentle walks through beautiful landscape and not rigorous in the slightest. The paths have been very carefully chosen to give you the best of the countryside with just enough physical stress and much enjoyment along the way. Picnics take place in verdant pastures with safari chairs and rugs and cushions for those wishing to take an al fresco siesta. And there is always time for a siesta. The food has been carefully cooked by Diana the very morning of the picnics and so is wonderfully fresh. The wines are carefully chosen from James' cellar. You could walk between 15 to 18km a day but at lunch you would have the option to take the afternoon off in the beautiful setting of your auberge / hotel. These small charming hotels are all chosen with care. All have swimming pools and facilities en suite and just enough bedrooms for our groups of twelve or fourteen people. The south west of France is where it is all happening in the wine world. The big screen documentary ‘Mondovino’ took much of its argument from this area and Andrew Jefford and Paul Strang have written books revealing the outstanding diversity and quality of the wine-making in this part of France. Treading the Grape therefore explores five different appellations, tasting and talking to wine makers at their domains and it includes a wine tasting and discussion lunch with Master of Wine, Minette Constant MW. An alternative theme week is on the gastronomy of the area and includes days with chefs and hands-on cooking in an eighteenth century château. This is a hugely enjoyable week getting to know the secrets of French cuisine in what is regarded as being the gastronomic heart of France. CLICK HERE to request full itinerary details as these tours are not in a brochure. Ireland's naturally beautiful scenery, uncrowded lush green hills, its rugged coastline, ancient culture and fascinating history PLUS the local people's genuine hospitality, the traditional pubs and the relaxed pace of life make Ireland the perfect place for a walking or cycling holiday. 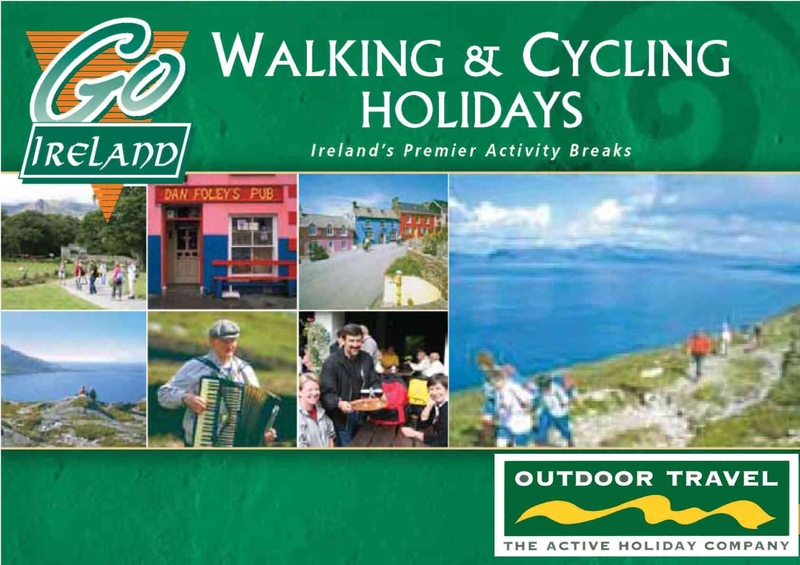 We offer both guided and self-guided walking or cycling in Ireland. Explore the Kerry or Dingle Peninsulas, majestic Country Wicklow (as seen on 'Great Outdoors') or perhaps our new destinations around Donegal, Beara or the spectacular Giant's causeway in the North of Ireland. Also new is our CELTIC KERRY tour, a combination of leisurely walking plus sightseeing and an insight into traditional culture and crafts based on the Ring of Kerry on Ireland's rugged but spectacular West Coast. We offer hotel or traditional B&B accommodation - all with private bathrooms, with traditional Irish breakfasts and a range of easy to moderate routes. Centre-based, multi-centre or inn-to-inn tours are available along the West Coast including the Dingle Peninsula and Ring of Kerry. Departures are from April to October each year. CLICK HERE to request more information as these tours are not in a brochure. Fully self-contained Tuscan Farmhouse Estate Apartments now available. All with easy access to Pisa, Florence, San Gimignano or Siena & with plenty of space to relax. Call us to check availability on 1800 331 582 or CLICK HERE for more information.